Megumi heaved herself up the cliff, her fingers raw and tender from gripping the sharp-edged nooks and crevices. Her thighs felt as if they were on fire. Beside her, the wolf, Tetsu, tackled the ledges with surefootedness, his tongue lolling out of his mouth as he panted. Once over this cliff, we will be done with the challenge, she told herself. She pushed up, up, up, and finally reached the top, panting. At least, her spiritual body was far healthier and agile than her physical body, connected via a tenuous silver cord. Megumi glanced at Tetsu who joined her, his tail wagging slowly. His ears flicked upright, twitching at the slightest of sounds. We find the eggs now, the white-blue wolf said in her mind. Already the lumps on her body were spreading. She looked at them with disgust and focused wholly on her journey. Singaporean, but with a global outlook, Joyce Chng write science fiction and fantasy, YA and urban fantasy. Her fiction has appeared in the Apex Book of World SF II, We See A Different Frontier, Visibility Fiction, Crossed Genres and Bards & Sages, to name a few. Her urban fantasy novels are written under her pseudonym, J. Damask (which she will tell you are a play on her Chinese name). The Rider trilogy, a YA SF, will be published by Math Paper Press, an imprint of Books Actually, an independent bookstore in Singapore. 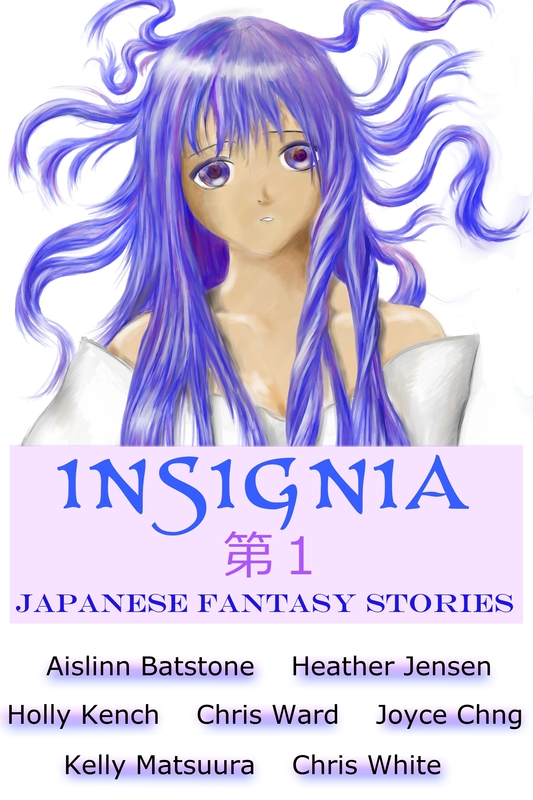 The first Insignia anthology is now available from Amazon.com (and other Amazon sites). for just $2.99! Congratulations to all the contributing authors: Aislinn Batstone, Joyce Chng, Heather Jensen, Holly Kench, Chris Ward, and Chris White. I’d really like to thank them all for their wonderful stories, assistance with proofreading and marketing, and for their great support in the project. Over the next few days, I’d like to introduce the authors a little and share a sample of each story. For now, please browse the Amazon book page and this blog, and feel free to share the posts/links with your friends!